HAYWARD, CALIF. (PRWEB) AUGUST 06, 2018 StoneFly, Inc. the original pioneer of the iSCSI storage protocol, virtual storage appliances and hyperconverged storage solutions now offers the VSO™ (Value Scale Out) storage solution. The VSO storage appliance is an affordable, high-performance, high-capacity scale out solution designed for budget-conscious businesses requiring the lowest CapEx and OpEx costs in the market. StoneFly’s new VSO appliance series delivers enterprise-level features and data services. These appliances are simple to set up, deploy, configure and operate which translates to lower OpEx for customers. VSO storage appliances are designed for mixed workloads; from simple storage to mission-critical applications. In spite of its lower cost, the VSO supplies High Availability (HA). Purpose-built to support workloads such as file-based home directories, file share, file sync collaborations, backup, disaster recovery, video, image applications, archive, surveillance, and much more, the VSO can be implemented to handle a variety of storage tasks. Limitless scalability with scale-out and scale-up. Data security using AES-256 bit encryption (optional) and SSL/TLS tunnelling. Snapshot – point-in-time copies of your data for disaster recovery. Cloud connect and storage tiering to public clouds (Microsoft Azure, Amazon Web Services AWS, etc.). Compatibility with VMware ESX/ESXi and Microsoft Hyper-V hypervisors. Supports NAS (CIFS/NFS) and iSCSI standard industry protocols for network storage. Supports 10Gb network connections (backwards compatible with 1Gb). “The digital world produces an ever increasing amount of data on a daily basis and affordable scale out storage solutions such as the VSO are great appliances to solve this problem,” said John Harris, director of technical sales at StoneFly. 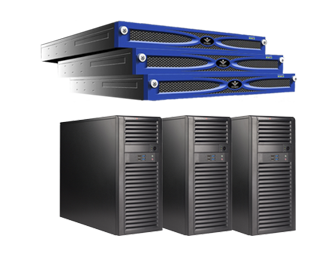 VSO pricing starts at just $1500 per node and is available in choice of tower or rackmount. About StoneFly Inc.